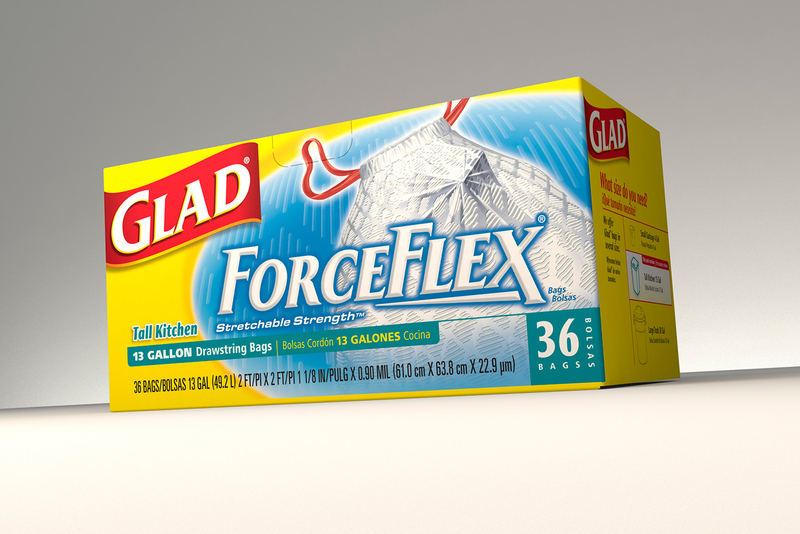 This is a 3D concept for Glad Force Flex. 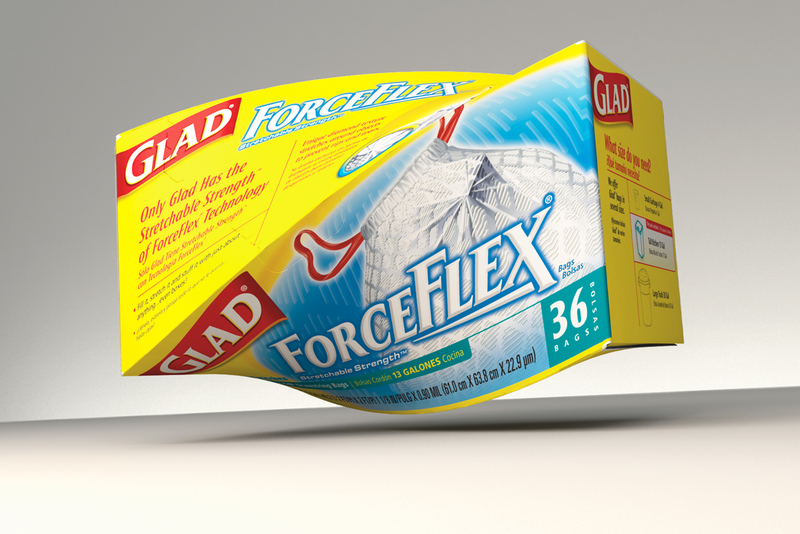 I made this image in 3D, using packaging mechanical files. 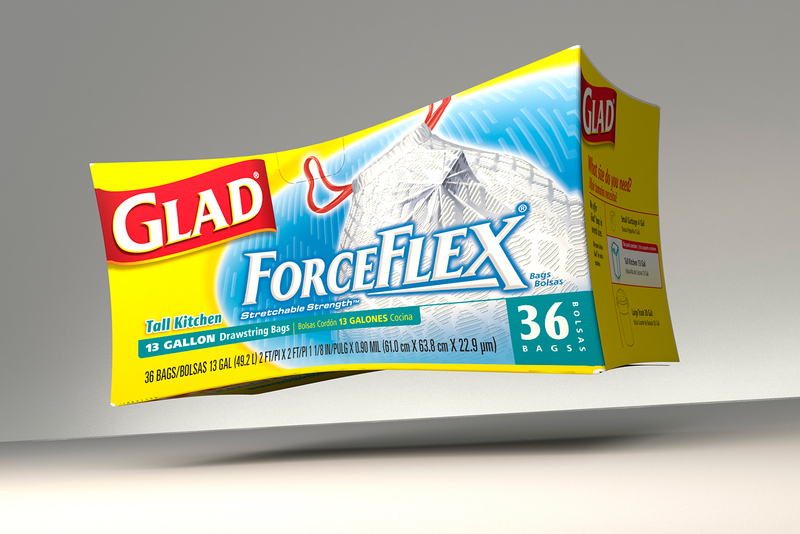 My goal was to create a photorealistic product. I even used the die cut lines to create a perforation. After creating the box, I wanted to use 3D in a more conceptual way, so I started playing around with the deforming tools. 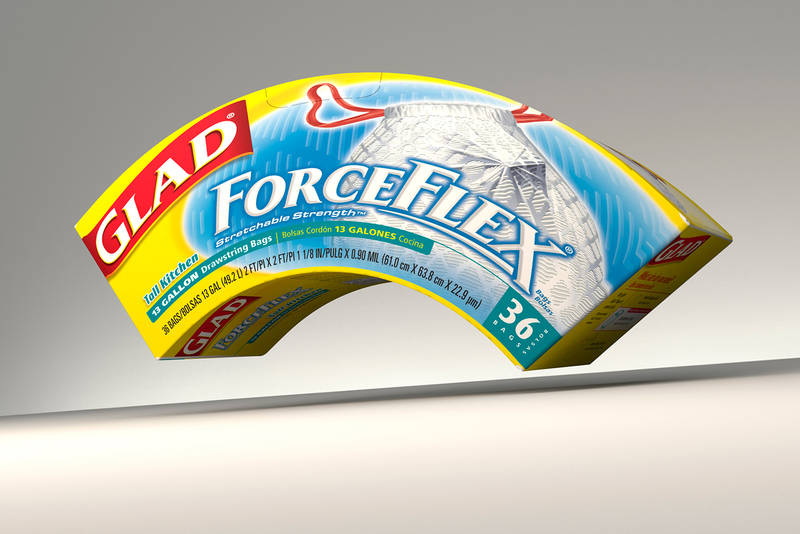 WIth Modo, I was able to produce many interesting results, including this twist.